This article outlines your real world options to correct a faulty GPU graphics card on a MacBook Pro 2011. 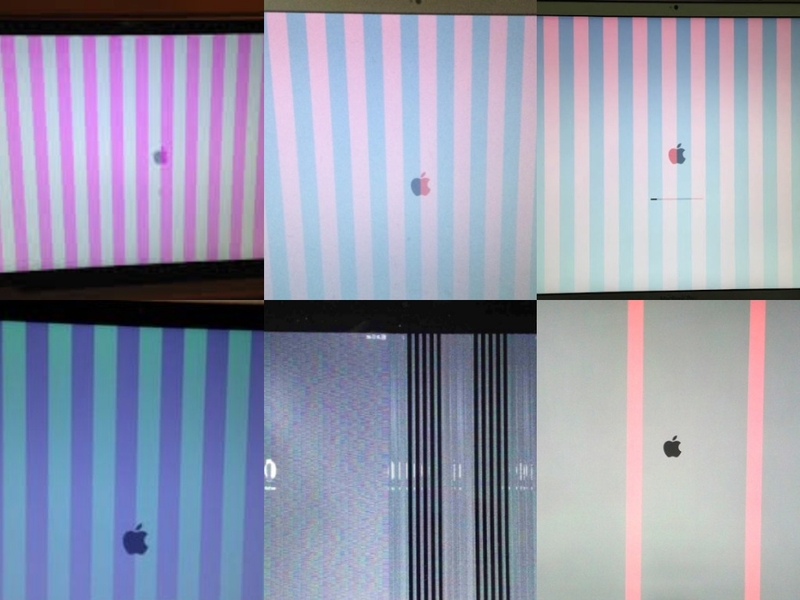 The AMD Graphics card for most MacBook Pro's manufactured in 2011 are known to have issues after 5-7 years of use. First, let’s understand the expected behavior of a failing to failed MacBook Pro 2011 AMD 6750 or 6770GPU graphics card. *Your MacBook Pro begins to run hotter, fans spinning at higher speeds, the CPU begins to spike randomly in any application you have opened according to activity monitor. *You begin using your MacBook Pro 2011 again only to experience another kernel panic and several more thereafter. At this point, you begin to notice distorted video on startup including parallel lines across the screen. In some cases, your MacBook Pro 2011 will no longer boot past the Apple logo. You just confirmed your MacBook Pro 2011 is suffering from the widely known GPU issue. Apple acknowledge the issue many years ago and offered free replacement program, however many users believed Apple was just “refreshing the MacBook Pro 2011 logic board, and the issue would resurface again 5-7 years later”. Apple ceased the replacement program beginning in 2017. See Apple’s official statement below. The following models are no longer eligible for this program: MacBook Pro (15-inch, Early 2011), MacBook Pro (15-inch, Late 2011), MacBook Pro (17-inch, Early 2011) and MacBook Pro (17-inch, Late 2011). This method will write a value into NVRAM to not use the faulty AMD GPU and only use , however this method will not power off the GPU. This means, the GPU will still run with your MacBook Pro on and overheat, forcing your computer to shutdown. In addition, this method is known to cause confusion between your MacBook GPU units while working in the OS and will still cause kernel panics. This method is NOT recommended as a permanent fix for your MacBook Pro 2011. This method will help you gain access to your MacBook Pro 2011 to pull off files and perform Time Machine Backups before you won’t be able to post boot. In our experience, this method gave us around 3 hours of time to operate normally in our OS before the MacBook stopped booting altogether. Reset your MacBook Pro SMC and NVRAM/PRAM. Shutdown your MacBook Pro. Boot into Single User Mode by holding down Command + S and power on. Once you single mode has loaded, hit enter a few times to get to localhost:/ root# prompt. Type the following commands in order below. The first command disables the faulty AMD GPU from loading at start. The second command output boot logs as the MacBook Pro boots up. Anytime you want to revert the above commands, reset your Mac NVRAM/PRAM outlined above. As your MacBook Pro reboots, you will see verbose boot logs appearing. You should no longer see distorted video as well. Your MacBook Pro should post a boot and allow you to login. You can use SMC Fan control to pump up your fan speed to maximum power to help keep the MacBook cool. You’ll notice the GPU Intel HD Graphics 3000 512MB only appear in about this Mac after you made the NVRAM change. Once you have successfully backed up any files you need, we highly recommend to shutdown your MacBook Pro and no longer use it at this point. The MacBook Pro will eventually stop posting a boot once the GPU chip decides to crap out completely. 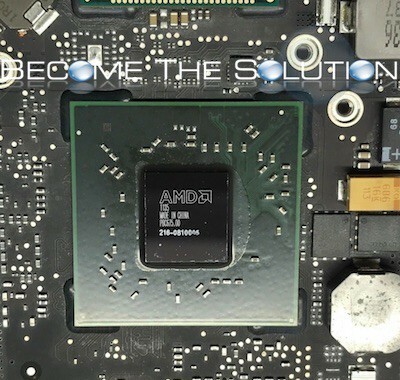 If you truly want to save your vintage MacBook Pro 2011 (or in our case the fastest MacBook Pro 17” ever) you need to replace the GPU on your logic board with a 2nd generation AMD chip that was manufactured after 2017. These chips do not go bad. There’s guides online that show you how to do this and you can pick up the newer GPU for around $35. If you don’t want the hassle of disassembling your MacBook Pro, soldering, and crossing your fingers you did it right, we HIGHLY recommend this professional and efficient eBay service offering MacBook Pro 2011 repair which will replace the faulty GPU with a 2nd generation AMD GPU – making your MacBook Pro 2011 last forever! The eBay listing - here . Most repairs and replacements are under $200 and include shipping! In summary, these are your BEST options for reviving your MacBook Pro 2011. Other guides online state you can permanently disable power to the faulty GPU, but none we followed worked. Keep in mind that even if you kill the power to the faulty GPU, it also disables your external display port, since the AMD GPU is wired to that. Your video performance for graphics and gaming will also suffer. The INTEL graphic chip is not a performance chip, whatsoever. The 17” MacBook Pro Late 2011 is one of the fastest MacBook Pro’s Apple released (see the fastest MacBook pro 17” here) and is the last 17” model manufactured. These machine are still highly sought after online. The GPU repair on eBay is well worth the money down the road to preserve this vintage machine.